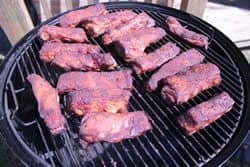 Known and loved by many inside barbecue circles, smoked rib tips are as tender and delicious as you can get with enough natural fat mixed in to keep them moist throughout the entire cooking process. 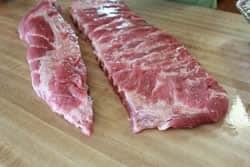 You may cook spare ribs without trimming them down to St. Louis style but many of us trim them to help them to cook better and for better presentation and when you do, you are left with some tasty scraps that have the potential to steal the show if they are cooked up right. I am also able to purchase these from my butcher and I've even seen them packaged at the local supermarket ready for sell. 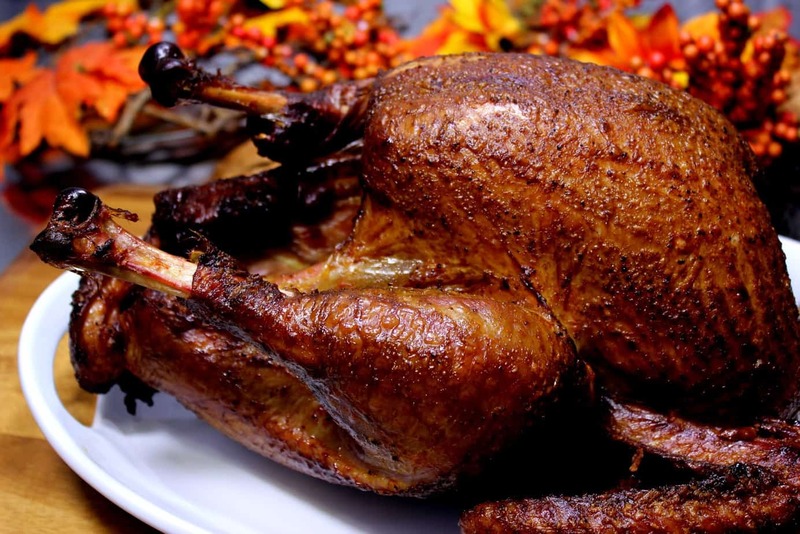 In this write-up, I will be divulging my own method for preparing, smoking and serving these to your family and friends. 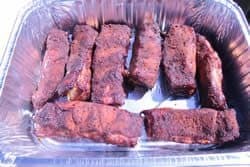 These smoked rib tips or smoked riblets will take about the same amount of time as regular spare ribs and they are what I call a “fun” food. Serve them in a basket with smo-fried potatoes or get them done by the time guests arrive and they will be a party pleaser while you wait on the “real” food to get done. 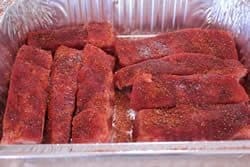 My rub recipe was originally designed for pork and although it is amazing on a lot of things, it does something really special to these smoked rib tips that you're really gonna enjoy. Cut the brisket bone from a rack of spare ribs in such a way so as to square it up. 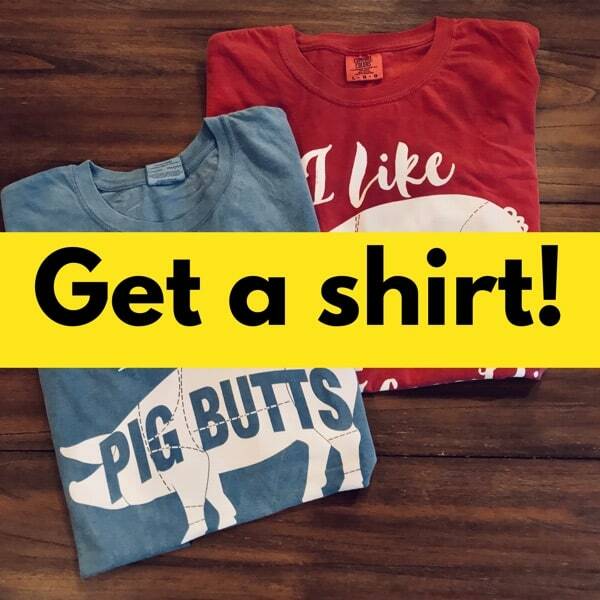 The piece that is cut off is what we are working with in this newsletter today and are called the “rib tips”. 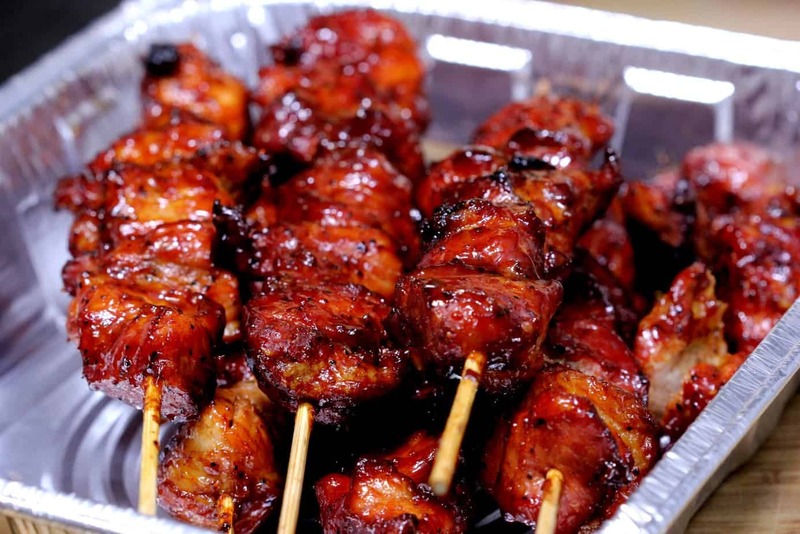 Place the rib tips in a foil pan to contain the mess. Drizzle honey onto the ribs and brush evenly all over the top and sides of the meat. 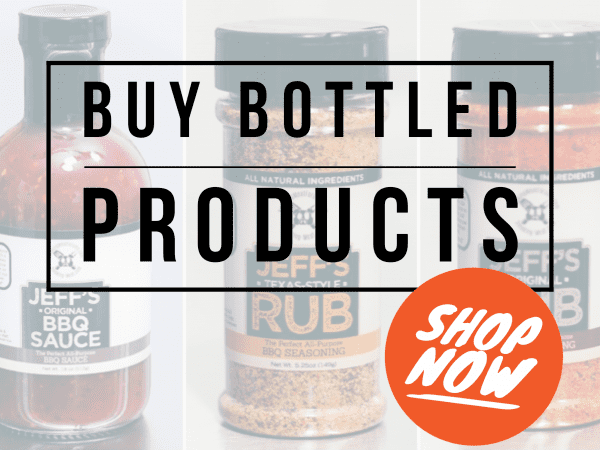 Generously sprinkle my rub (purchase recipes here) onto the ribs making sure you get good coverage on the top as well as the sides. In about 10 minutes, you'll start getting that wet look telling you they are ready for the smoker. I used the Weber Smoky Mountain 22.5 for this cook. 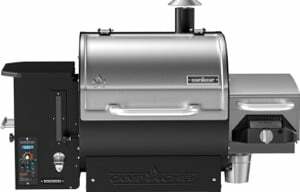 This is an excellent smoker and I highly recommend it for anyone who is looking to use a combination of charcoal and/or wood for fuel in an affordable unit that will not cost you an arm and a leg. 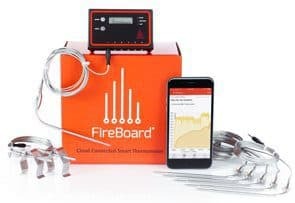 Follow the instructions HERE to find out more about setting it up or getting it ready for use. We are looking to maintain about 220 degrees for these smoked rib tips with about 3 hours of mesquite smoke. 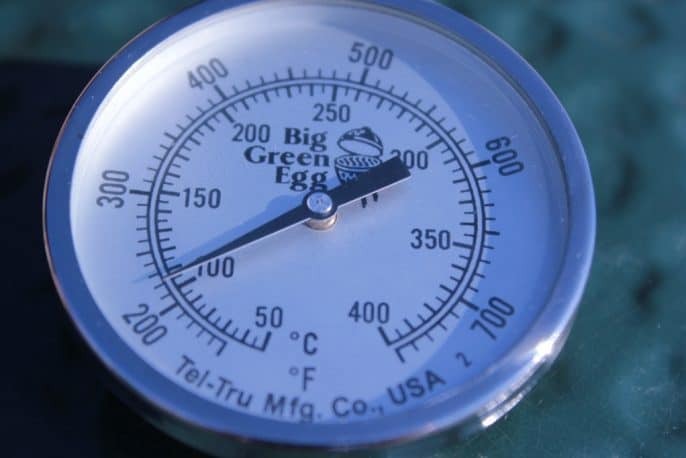 Once the smoker is holding a steady temperature, it is ready for use. 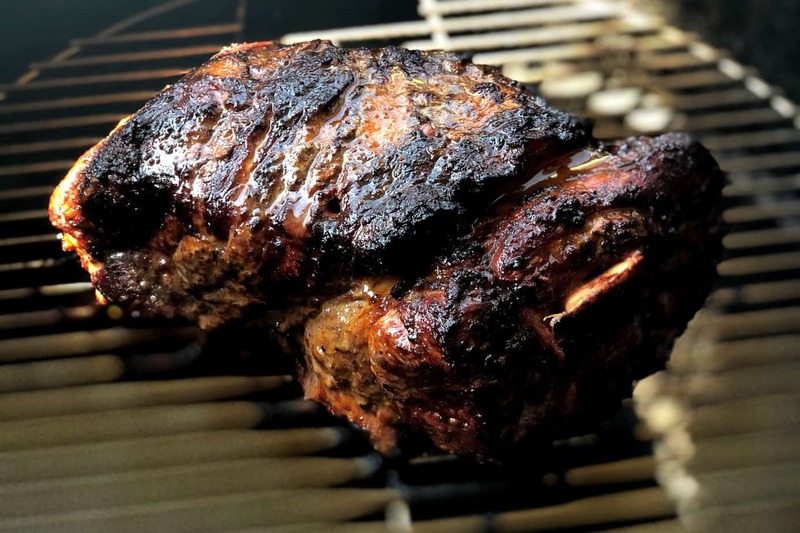 Place the rib tips and pieces directly on the top grate of the smoker and close the lid. 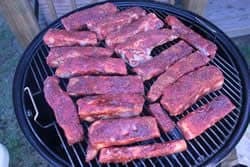 I am doing something similar to the 3-2-1 method on these since it works so well for ribs. It will also work very well on these rib pieces. Let the rib tips smoke for about 3 hours keeping the temperature at around 220 degrees as much as possible. Note: You can add 1/4 inch of liquid to the bottom of the pan if you like but I decided not to on these. I am not trying to over-steam them, just braise them a little to help with the tenderness. Place the pan into the smoker and let the rib tips continue to cook in the pan for about 2 hours or until you notice some of the bones starting to stick out of the meat. Actually this is the meat shrinking back from around the bones and is a sign that they are getting done. Remove the foil from the pan and let them continue to cook in the pan for an additional hour. 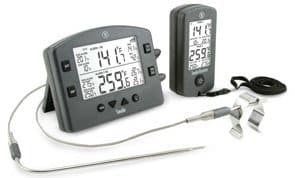 Note: I don't usually recommend going by meat temperature on ribs however, I have this handy dandy, super-fast, thermapen and it easily gives me a reading on ribs right between the bones. 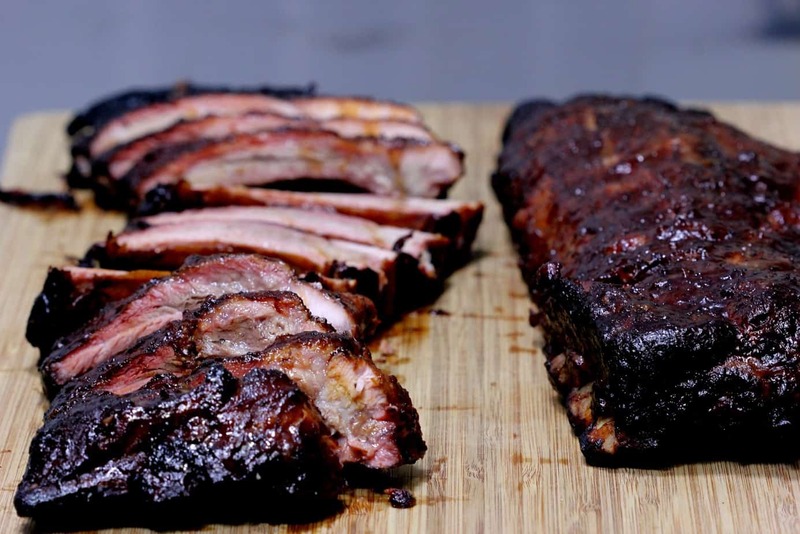 smoked spare ribs and smoked rib tips are both done when the meat reaches about 195 degrees. 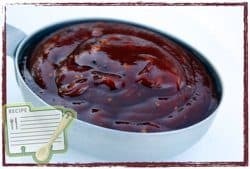 When the smoked rib tips are finished cooking, cut them into pieces that are 2-3 inches long and serve with my amazing barbecue sauce on the side. I used potato wedges with the peeling left on and put them into a foil pan. They were tossed with olive oil to coat and kosher salt and coarse ground pepper to taste. The entire pan was placed in the smoker for about 1.5 hours at 220 degrees and stirred about every 30 minutes to get full smoke coverage. The potatoes were then dropped into hot oil and fried until golden brown 3-4 minutes. The potato wedges were drained on a paper towel then sprinkled with my rub (purchase recipes here). 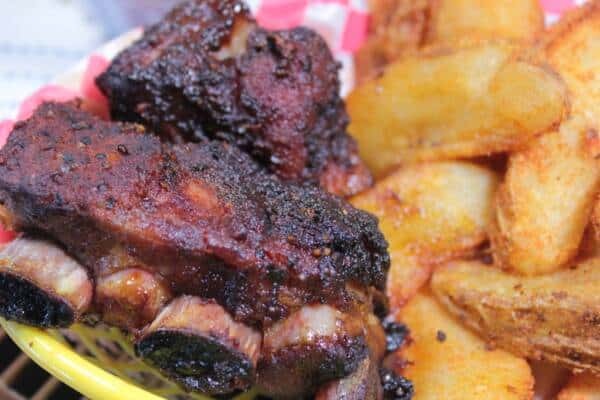 Everyone loved them and they went really well in the baskets with the smoked rib tips. There was a nice hint of smokiness to them and the rub worked great as the only seasoning they needed. 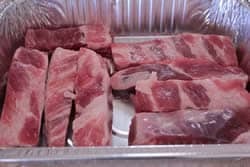 Along with rib tips, you may have some thinner, odd looking pieces mixed in. These may get done in much less time so keep an eye on them and when they get done, eat them quickly before anyone notices they are missing. 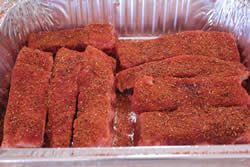 My kids use to come out to the smoker about an hour after I started to see if the “rib tips” were done yet. They were referring to these thin pieces that usually get done in about an hour and they are extremely tasty. You can do these hot and fast if you want to and they should turn out fine but I think they end up having a better flavor done very slowly with plenty of smoke. Be sure to tell your guests to try these before dumping sauce all over them and especially if you use my rub on them. They are very flavorful and usually no sauce is needed. If you have leftover rib tips that don't get eaten, freeze them for safe keeping and put them in with that next pot of beans you make. Very good flavor! 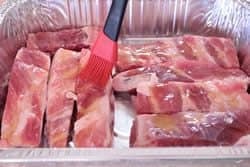 I am smoking rib tips for the first time ever on my brand new Rec Tec smoker using your recipe! I just hit the step to put them in the foil pan and cover them and i couldn’t help but sample one of the smaller ones….WOW did it taste good!!! I can’t wait till they are finished! Thanks for the ribtip, uh, tips. I’ve cooked a lot of them, usually with a little yellow mustard, then rub, and hickory and cherry wood. Usually buy a 10lb box when on sale. I tried something called ‘button bone ” ribtips once, I can’t recommend them , too many small,sharp bones. I’ll try honey , sounds like a good combination with a spicy rub. Have you ever smoked tomatoes? I’ve cored large round ones, and put a little oil, basil, and garlic, then set them on the grate , smoked them for a couple hours. 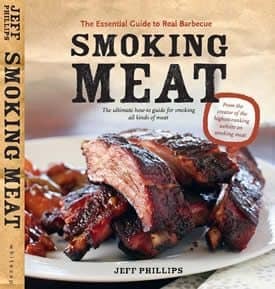 They really pick up the smoke, I like them with hickory wood best.The peels pull off easily once cooked. 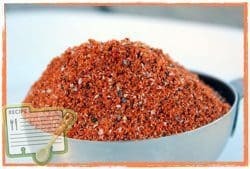 makes a nice side with meat, or blend them for a pasta sauce. We grill rather than smoke smaller tomatoes like roma, split from stem end to bottom, spray with olive oil, start them cut side down, as they cook and soften, flip them, and the skin will hold them together, then add seasoning to the cut side. 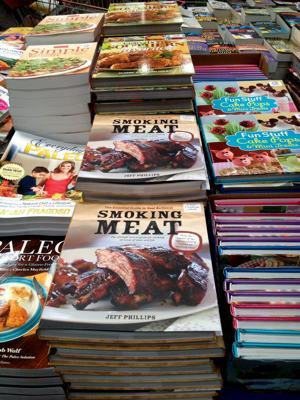 For grillers using propane, be sure to use smoking wood,and put the ‘maters right over the smoke. My nephew grilled some without wood, and they picked up a ‘propane-y’ flavor.Could have been his camp grill, but I don’t use propane without some flavoring wood. I had a question regarding the strip of meat that you are using above. I made this a while ago (smoked that strip whole with my spare ribs) and I was curious as to what the tubular, tendony things that were running through the meat were? And how you deal with them….cut around them? Did I not trim it properly? It was my first crack at trimming the ribs to a St.Louis cut. It is mostly just cartilage and you just have to cut through it to remove it from the rest of the spare rib. When you get ready to cut them up into smaller pieces, you can just make cuts between the pieces of cartilage. 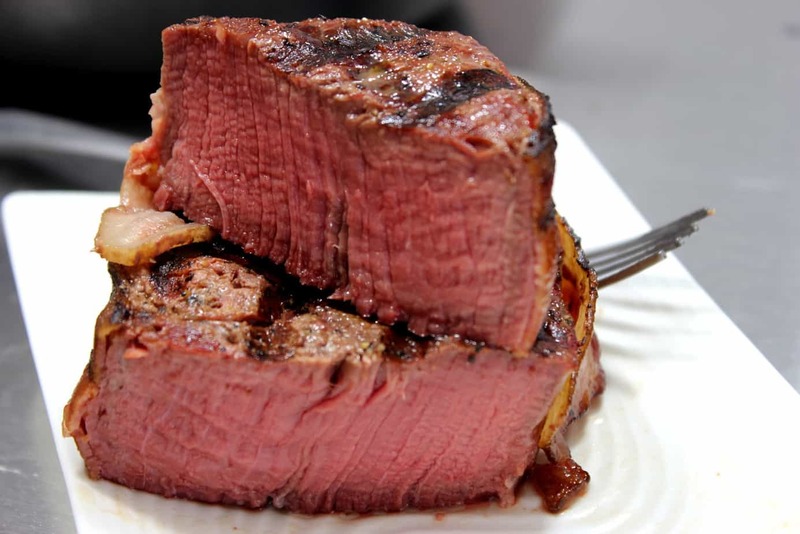 The person eating usually gnaws the meat off of those pieces of cartilage just like they would if it were a bone.